Youth unemployment: Is that government, employers or themselves? 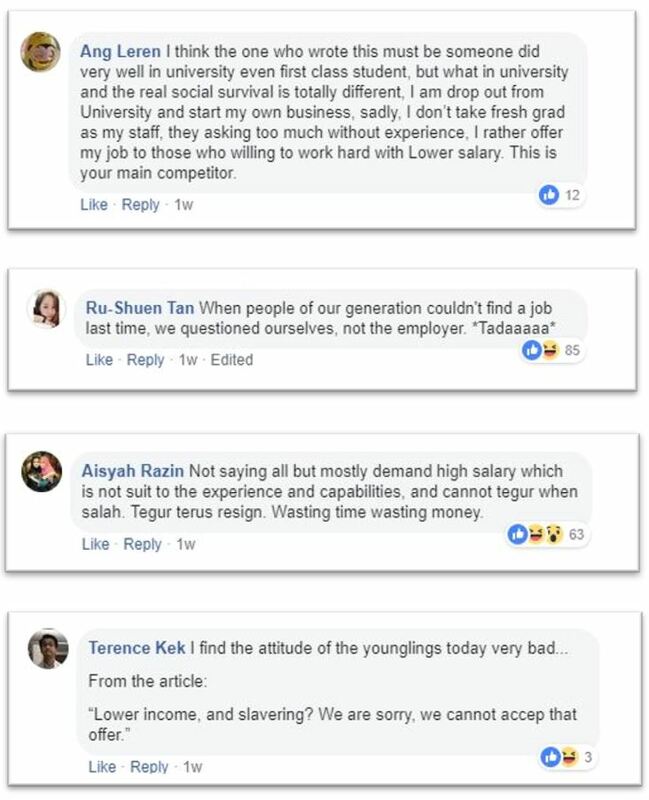 A recent open letter sent to and published by MalaysiaKini gained a lot of attention from netizens on Facebook. The letter was written by a fresh grad to the general employers in Malaysia, expressing her struggles to find a job. To elaborate, she claims although with her Bachelor’s degree in Communication, she sees absolutely no chance being offered a full-time job due to lack of experience. She admits she’s picky but rejects accepting slaving jobs and low income. On top of that, she went on about how ‘Baby Boomer’ employers do not believe in modern technology and who won’t hire inexperienced ‘Millennials’, causing rise in unemployment rate and graduates sacrificing their certificates for jobs unrelated to their studies. Naturally, netizens on Facebook commented their thoughts on the matter. Most disagree with the contents of the letter, saying the employer is not to be blamed and the current generation’s unreasonable demand for salary. 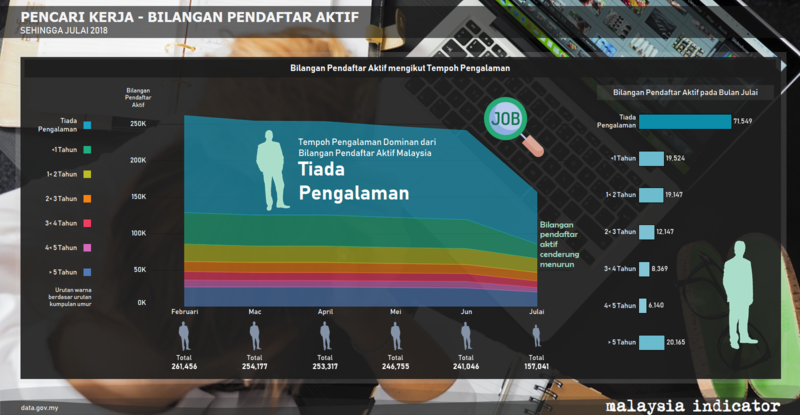 According to the open data published by Jobmalaysia, majority of unemployed youth own a tertiary study degree. As in July 2018, there are 74,000 University graduated looking for job. From another infographic Jobmalaysia, majority of jobseekers were at the ‘no-experience’ category. Seems like the author of the open letter was not alone. While the netizen had pointing their finger at the ‘millennials”, perhaps we have product too much tertiary educated talent that the market has not enough capacities to absorb.